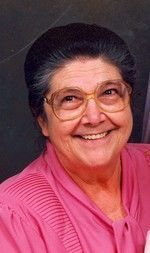 Sarah E. Lloyd, our precious mother, age 83, went home to the Lord, September, 6, 2009 at Lincoln Centers of Connersville, Indiana, where she had been a resident since January 2008. I have wonderful memories of time spent with Aunt Sarah. My thoughts and prayers go out to all. She will be truly missed. I'm thinking of you all. My prayers are with you. Just wanted to give my love and prayers for the family. Aunt Sarah was always very kind to me. She will missed.